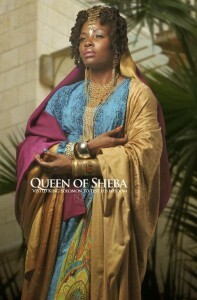 Has anyone noticed that in the bible, Queen Sheba is barely mentioned? 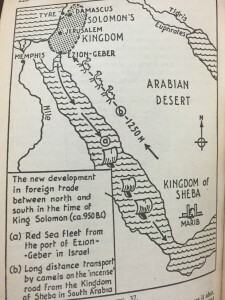 Take a peek at 1st Kings Chapter 10 in the bible, which is only 3 paragraphs about King Solomon, and his royal guess Queen Sheba. By the time you read this article, you’ll no longer call her that – I guarantee it. 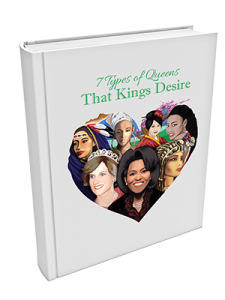 Well…thank God for my new book, “7 Types of Queens, Kings Desire,” which is going to open the eyes of common girls to well known women of power across the globe. Allow me to give you some insight on who this ancient Queen was. Once upon a time, in 1012 B.C.E. (Before The Common Error aka B.C. – Before Christ) there was an Ethiopian queen from the “Kingdom of Sheba,” with many titles, however, her real name was “Bilkis.” However, its only fair that I share with you what the people of her native land of Ethiopia called her, which was “Makeda.” She had many titles, and depending upon where you get your research from, you’ll find out something very interesting about Bilkis. 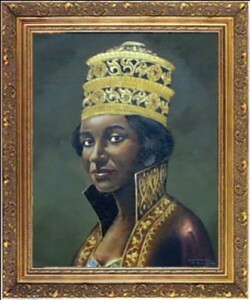 She was known as the “Queen of Egypt,” “Queen of the South,” and the “Queen of Ethiopia.” Get this…she was known to have the gift of clairvoyance, which is the ability to see into the future; people with this gift also assist in guiding a person towards enhanced health, fortune and happiness. Borderline fortuneteller or psychic. Similar to what a prophetess and prophets do today in churches. The only difference, in my professional opinion between a prophetess and psychic is that the former does in the name of Jesus, and the latter does it for their own personal financial gain. Moreover, kings back then all sought out Queens from Ethiopia (Land of Cush, not marijuana folks) due to the fact that it was believed that these Ethiopian Queens (Cushite Queens) all had the gift of seeing into the future. Why? Thought you’d never ask. It was because it helped the kings like King Solomon, President Obama, Akhnaton (husband of Great Royal Wife & Queen Noferetete aka Nefertiti) and King Nebakanezer win defining wars and battles. In fact, 10 out of the 10 men married men that I interviewed for my book, “7 Types of Queens, Kings Desire,” they all had one thing in common other than being “wounded by love;” these men seemed a woman that could help them build an empire. Successful men aka kings of today, seek women that are great with numbers, can cook, and are experienced in multiplying their fortune. This African woman of power, Queen of Sheba, was extremely wealthy, and had an empire that included Upper Egypt, Ethiopia, and parts of Arabia, which included the Kingdom of Sheba (Sabba). Wouldn’t you like to know what kind of deal the richest woman in the world, at the time, was trying to make with the richest & wisest man?!? An even more important question to ask is, “Why was a woman so powerful and rich, not elaborated on in the good book?” I’ll answer those questions in the next article, and in my new book, “7 Types of Queens, Kings Desire“. Click here to order your copy of my new book, or to find out more about me, the game changing author, Kevin “King” Dorival. Stay tuned for more exciting, blogs, videos, and interviews – will I reach my goal of 40,000,000 book sales. Heck Yeah! !